All over Southampton can be found a variety of four-legged creatures of different colours and sizes. 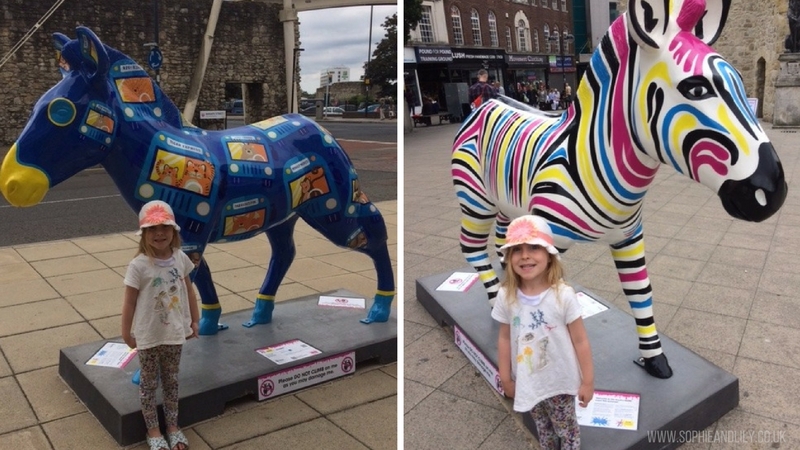 Don't worry, nothing has escaped from the zoo, these are Marwell Zoo's Zany Zebras and they are brightening up parks, shops and streets all over the city. 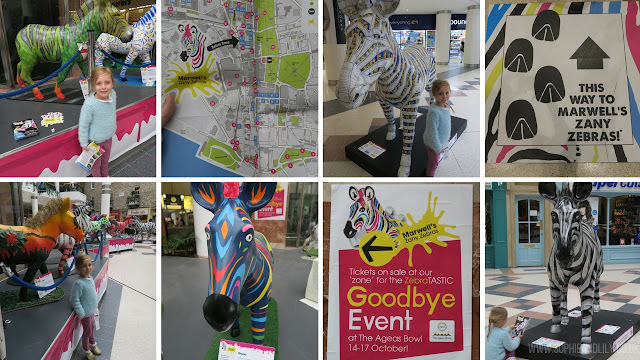 Begin your trail at Marwell's Zany Zebra Zone which is located in the Marland's Shopping Centre and pick up a leaflet to discover the trail. The sculptures based on the Grevy zebra won't hang around much longer in this habitat though, they will soon move on to have a big reunion at the Ageus Bowl for Marwell's Zany Zebra Zebratastic Weekend which will run from the 14th-17th October. 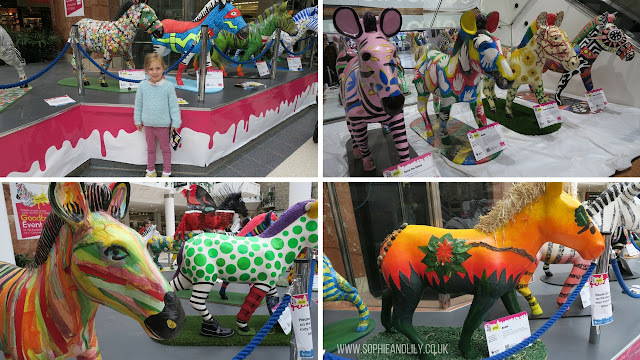 The grand total of Zany Zebras stands at 150, which will certainly help with raising money for Grevy zebra conservation when each and every one go up for auction at the Charity Fundraising Auction at the Hilton on the 18th October. Plus the schools which helped create and design the funky patterned zebras will also benefit from the auction. What do I have to look out for? Pick up a trail map within the Marland's or at various points across the city, alternatively you can find the map online. They are quite spread out so you can dedicate a few days, afternoons or weekends to spotting them all. 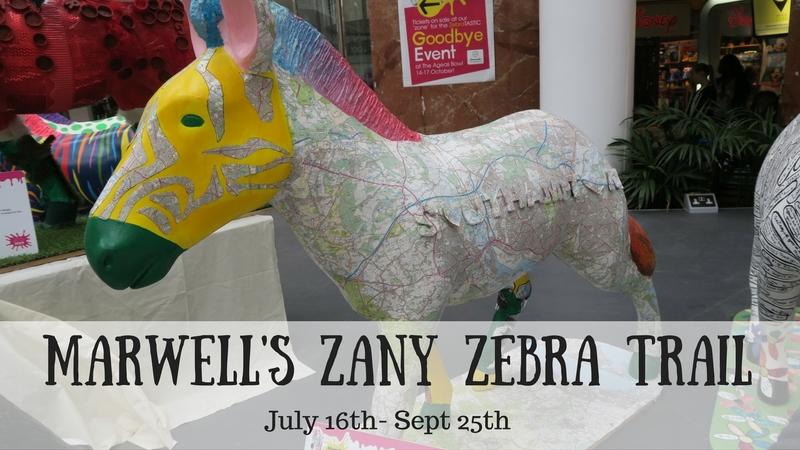 Whilst at the Zany Zebra Zone you can enjoy arts and crafts workshops, chat to the Marwell team about the Grevy zebras and even get your hands on the latest fashion accessory; the #ZanyZelfie ears! What is going on at Marwell Zoo? Marwell Zoo is home to a GIANT Zany Zebra sculpture who goes by the name of Gulliver so make sure you capture a 'GiantZelfie snap with him. There is also a mini trail of replicas found in the city throughout the zoo to enjoy. Hopefully we have given you a taster of what to expect, enjoy yourselves!